I love a good gift set for Christmas, a luxury gift set even more so. They're great for giving as well as receiving and the savings from buying a more expensive branded set can be impressive which make them well worth looking into. 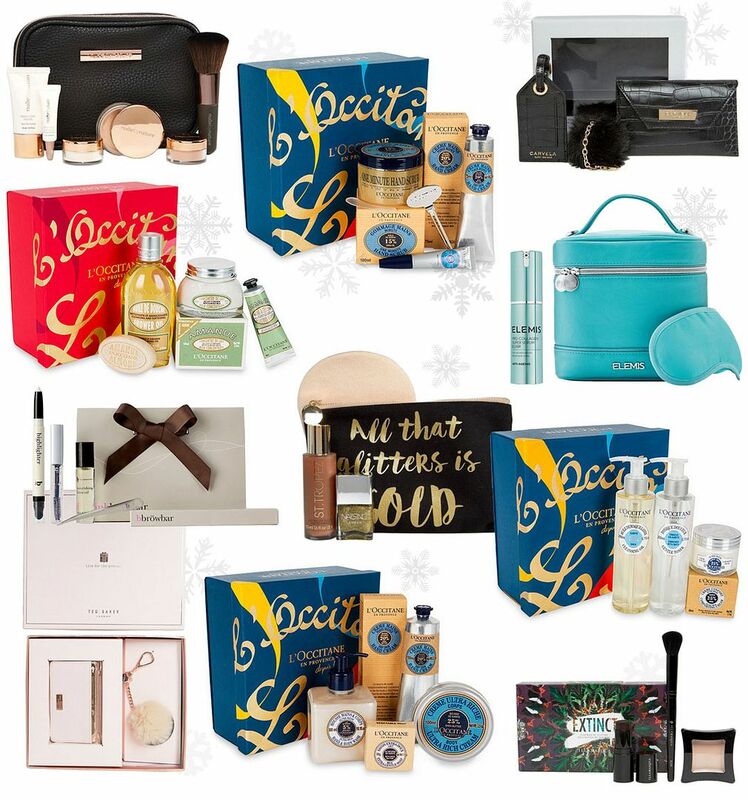 L'Occitane products make great gifts because they're quality products and because their gift sets have quite a few products in they're really good value too. They can save up to £30 give or take, especially any with L'Occitane eau de cologne. The shea butter and almond collections are my favourites, with the 'Irresistible almond collection' being at the top of my wishlist because it includes my favourite L'Occitane product - the almond shower oil. Makeup gift sets are a good shout when it comes to brands like BBrowBar and other great quality brands like Illamasqua because they carefully choose the products included meaning that they suit almost all colourings. The illamasqua highlight and contour set is simple and contains two products worth £22 each plus a highlighting brush. Then there are the fashion accessory sets, slightly different from the average beauty gift set but equally as good. Handbag accessory sets are the most common i've seen, or a set of scarf and a purse, they're worth finding as the savings can be great, plus they're always packaged well. I especially love the Carvela and Ted Baker handbag accessory sets I found on asos.